We are a family who loves Halloween. Most importantly we love the costume part. This tradition started with my grandparents. Each Halloween they would host a Halloween costume party in their garage. All their kids and grand kids would show up in full costume. We would play musical chairs, and bob for apples. It was also a potluck, so everyone would bring a creepy yummy concoction. 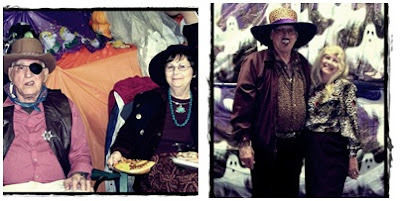 Some years back, my parents picked up the Halloween torch and now host the annual costume party in their garage. The decorating of the garage has become almost as much of an event as the party itself. Each year my dad and my son try to outdo their spooky decor from the year before. 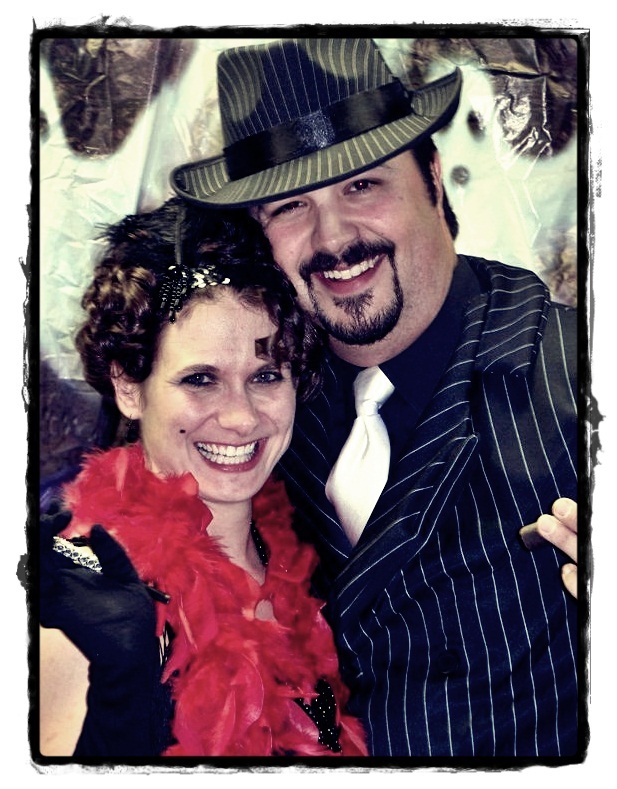 My husband & I's first Halloween together (we had just started dating earlier that month!). How fun! Sounds like a great way to spend Halloween each year. Enjoyed seeing the creative costumes everyone was wearing. 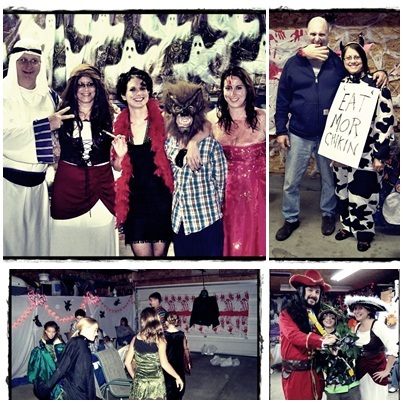 Hallowe'en is my favourite too :) We dress up, Trick or Treat and hand out treats at home. I wish we had a party like yours! Very fun and I love Halloween too.